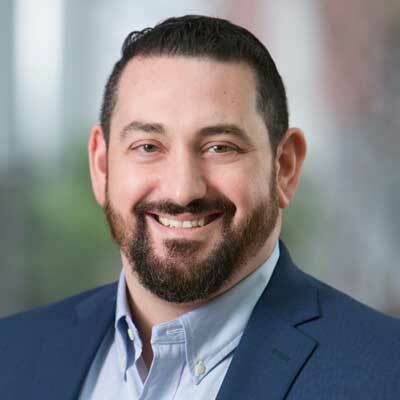 Michael DiVecchia serves as Elicio’s director of operations and program management, a role in which he is responsible for leading immuno-oncology programs from pre-clinical to early clinical trial stages. He also manages the company’s chemistry and manufacturing controls using its platform technology along with the organization’s efforts in finance, information technology, and quality assurance. Previously, Mr. DiVecchia worked as a quality assurance/quality improvement specialist for Partners HealthCare. There, he performed study site reviews and audits to ensure compliance with external and internal regulatory requirements, and consulted with Partners’ principal investigators and clinical research staff. In addition, Mr. DiVecchia has worked as a clinical research coordinator at Columbia University Medical Center, where he led the recruitment of subjects for the top-performing site in a multi-center, NIH-funded longitudinal study of kidney disease progression, therapies, and outcomes. A licensed practical nurse, Mr. DiVecchia completed nursing studies at the University of Alabama and North Shore Community College. He also holds a bachelor’s degree in psychology from Utica College of Syracuse University.